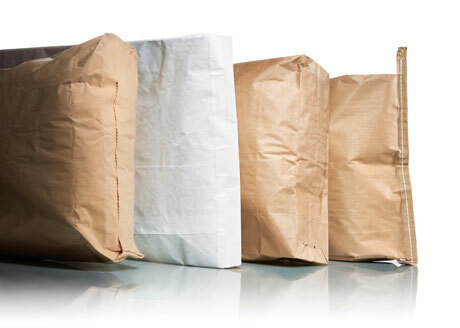 Multi-wall paper bags are ideal for many products, such as fertilizers, cement, grains and pet food. A variety of different styles are available depending on the customer’s needs. 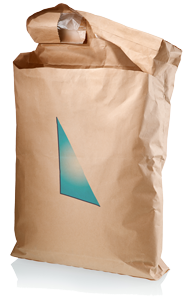 Our paper bags are customizable in size, color and density. We are also able to print text and graphics onto bags so that your product will stand out. Listed below are some of our different multi-wall paper bag options. Flush Cut – One end is left open for the customer to be able to fill the bag while the other end is sewed off. Gusset – A piece of fabric used to add width to a bag. Paste Valve – Bag is completely closed off other than a small opening on one side to allow the bag to be filled. Heat Sealable – Bag that is able to be sealed via an adhesive that is activated when it’s heated up to a certain temperature.